With our glorious Seattle summer only moments away it’s time to bring out those lounge chairs! 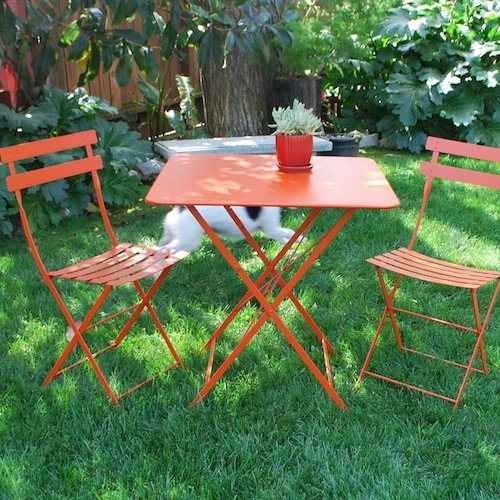 This year, instead of dragging out your old raggedy set from Home Depot (ok, maybe that’s just me), think about updating your outdoor seating with one (or more) of these colorful options. It’s a must to pay homage to the timelessly classic, yet thoroughly modern, bistro chair. Originally created in the late 19th century, the folding bistro chair instantly conjures images of sipping coffee and reading the newspaper in the dappled shade of a Paris park. 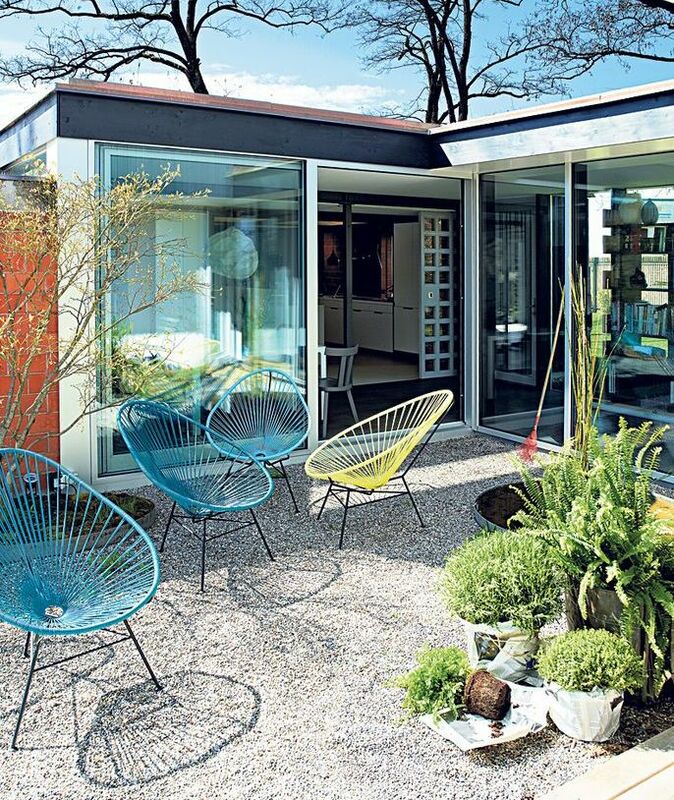 Why not find a sunny spot and bring that feeling to your own backyard or front porch. Add a pop of color with choices like Carrot, Verbena or Aubergine. Visit fermob.com to see the full range of tasty colors. 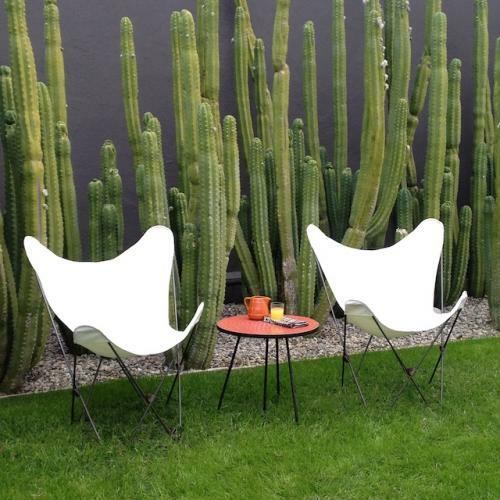 With the bistro chair we travelled to Paris, now let’s escape to Mexico with Innit’s Acapulco Side Chair. The story behind the birth of this chair is just as appealing as the chair itself. In 2002 Toronto based set director, Paul Yacht decided to move to Puerto Escondido, Mexico for the slow pace and surf. While there he designed the steel and vinyl Acapulco chair to provide seating for the small bookstore / surf-shop / bar / cinema he opened. Soon he was taking orders globally for the Acapulco Side chair and Innit was born. Visit innitdesigns.com to see the chair in other fun colors like Turquoise, Neon Pink and Olive. 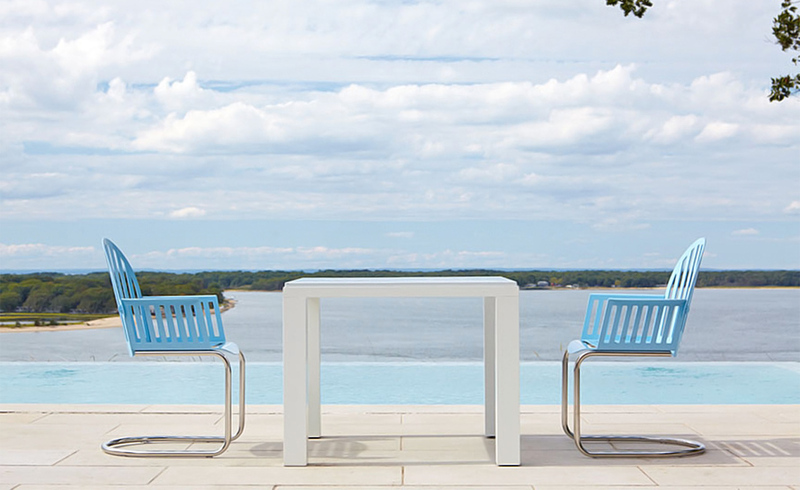 Richard Schultz, considered to be the first modern outdoor furniture designer, created the Fresh Air Dining Chair in the late 1960’s. Buy a set in a single color or play mix and match from colors such as Daffodil, Sky Blue and Terra Cotta. Visit hivemodern.com to see more. 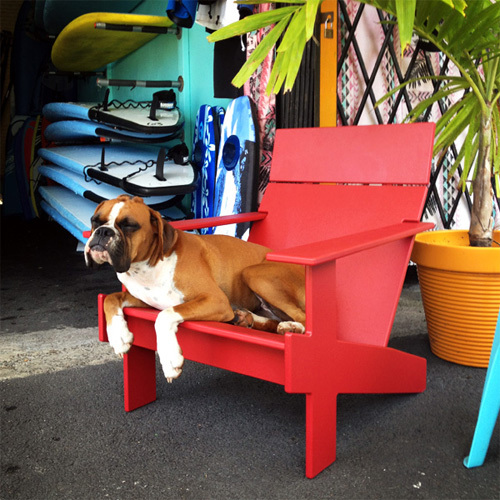 The lollygagger lounger is a modern take on the classic Adirondack chair. The Lollygagger is made of 100% recycled and recyclable high-density polyethylene (HDPE), primarily from milk jugs. Approximately 8 milk jugs are reclaimed per pound. The Lollygagger is also a chair you can leave outside year-round for that unexpected warm spell in February (What? It can happen!) Visit lolldesigns.com to see the lollygagger in colors such as, Leaf, Apple and Sunset. 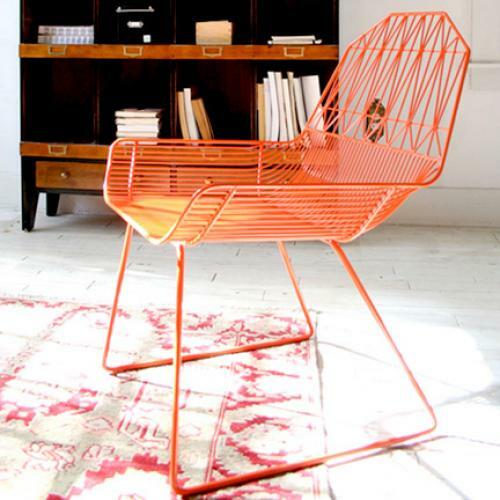 Made of hot dipped galvanized iron with a powder coated finish to prevent rust, the Farmhouse Lounge Chair is as durable as it is comfortable. Despite its pure geometry there is a rustic quality in this chair; the backrest is inspired by the architecture of old Amish barns. A few minutes on this seat and you’ll be inspired to quit your day job and live off the land. Visit bendgoods.com to choose from Peacock, White or Orange. Like the bistro chair, the butterfly chair is a classic and is another great way to add a spot of color to your garden. The canvas cover can easily be swapped if the urge to switch up your color scheme strikes. Visit pottedstore.com to view a range of colors. “Contemporary” doesn’t have to mean stark, as this colorful collection proves. Now choose you favorite color, start practicing your favorite chilled mixed drink and get ready for summer!